We stock loads of Mugs ! 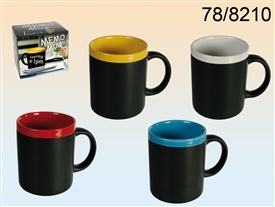 Wholesale Mugs, Mugs and Coaster Sets, Coaster and Tray Sets and Drinking Mug Gift products - Our range includes Farmyard, Safari and Wildlife Animal designs, many Bird species designs, Cats and many Dog breeds - We also stock the latest classic designs of Gift Mugs - Cars, Campervans, Planes, Tractors, Trains, Motorbikes and Scooters - Birthdays, Anniversaries and Special Occasions or Special People - Looking for cruet sets and ceramic dining accessories? Sparks stock a varied range of classic, quirky and novel design Salt & Pepper Cruets, Coaster gift sets and Mug, Coaster and Tray gift products. Everyone wants a nice mug or cup to have their favourite 'brew' in, right? Or maybe a fun, quirky design salt & pepper set on the kitchen table? 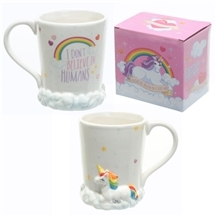 Then look no further than Sparks Gift Wholesalers, stock a very wide and varied range of Mugs and are one of the UK's leading suppliers of wholesale gift mugs to the retail giftware trade. We stock many different designs, contemporary salt & pepper cruets, fun and humerous salt & pepper sets, classic design salt & pepper sets. In fact we have a load of wholesale cruet sets available at wholesale fancy gift prices. A fine selection of Motto Mugs with all your favourite sayings on! His and Hers mugs, Mr & Mrs mugs, Dad mug, Mum mug, Fishing mug, Golf mugs and many other hobbies and pastimes gift mugs. We stock the latest designs and trends in mugs, cups, cruets and ceramic wholesale gifts.